Every Christmas growing up, my mom and I would make the same Christmas goodies– peanut butter balls and cut-out cookies. I loved helping my mom make and bake these special cookies at Christmastime. I always look forward to traveling home and making this peanut butter balls recipe with my mom. 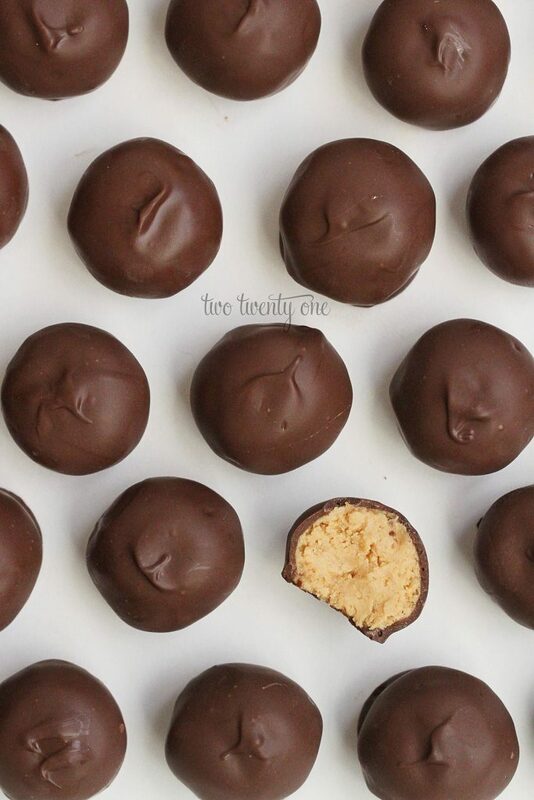 Now, I realize that some of you call these “Buckeyes” or “Buckeye Balls” even though my version involves completely covering them in chocolate and true Buckeyes are bare on top, but I grew up calling them peanut butter balls, so peanut butter balls they are. These peanut butter balls are a huge hit! They're no bake, easy to make, and require only 5 ingredients! Chill mixture for 1-2 hours. Use cookie scoop to make uniform balls. Roll into balls. Melt 1 lb. of chocolate. Dip balls into chocolate. Remove with a toothpick. Place on foil or wax paper until cool. Yields 3-4 dozen peanut butter balls, dependent on size. Store in airtight container at room temperature. Best when eaten fresh or within 2-3 days. NOTES: If you're having a hard time getting the balls out of the chocolate with a toothpick, try a fork. Or refrigerate the balls for an hour before dipping. Do not substitute margarine for butter. I highly suggest using Peter Pan peanut butter for these peanut butter balls. I’ve used other brands of peanut butter with this recipe, but PP is my favorite. I also suggest using this chocolate coating. I’ve never had any issues with it. After hand mixing the peanut butter ball mixture for years, I’ll never go back after using this amazing piece of machinery. And I LOVE this accessory. Seriously, put them on your Christmas or birthday wish list. I recommend putting the peanut butter mixture in the fridge for 1-2 hours before rolling. If you find that the balls aren’t rolling very well and seem to be sticky, add a little more powdered sugar and crushed cereal. I also recommend using one of these to make the balls uniform in size. Best kitchen tool ever! Here’s a quick video on how to make the peanut butter balls! I’m making some candy cane chocolate chunks for friends and family this year, and now I will def. be making some of your peanut butter balls to go with them – yuuuuuum! My mother called them bon bond. One recipe she had used p.b. & dates. She also made the rice krispies ones, but used chunky p.b. She melted baking chocolate, chocolate chips & parafin wax for dipping. Just mixed up a 3rd batch. we put chopped figs in ours. I’ve gotta try these this year! Yummy! Definitely “peanut butter balls” – but no crisp rice in mine! MMmmmmm, you’ve done it again! These look delicious! I love peanut butter treats. I think, though, this is destined to become another one of your “pretty” recipes that I completely demolish. It’ll taste just as good when they’re less perfectly-shiny-ballish and more creepy-lumpish though, I’m sure. 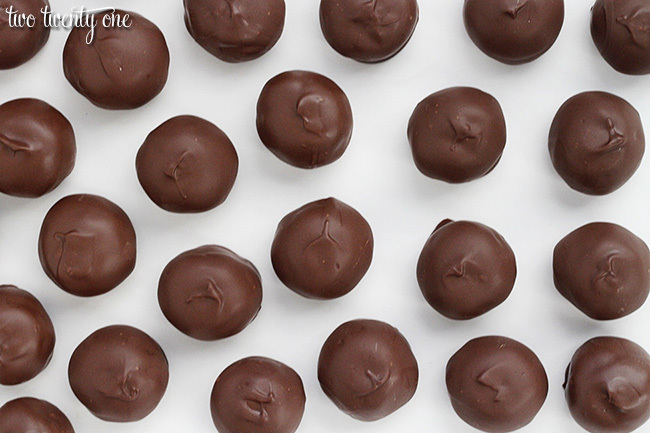 We call them peanut butter balls too…and yours look amazing! GET IN MAH BELLY. Now!!! I have made these for years but instead of rice krispies I put in a cup of graham cracker crumbs. Also, I put parafin wax in with the melting chocolate to give them a shine. Yummy! Read your comment. My mom used to make these too and I know she used paraffin wax. How much do you use? She’s passed now and had no recipe so I have no idea how much she put in there with the chocolate. I know I’m not the original poster, but my mom and I have made these since I can remember. We use a half a bar of the paraffin wax to 1 16oz bag of semi sweets! My recipe calls for a walnut sized chunk of wax. I use one fourth bar of parafin wax to 1 bag of milk chocolate chips. Yep !!! That’s right parafin wax……!!! Love the addition of the crispy rice cereal!! We have an annual Christmas party too and these look like a great contender! 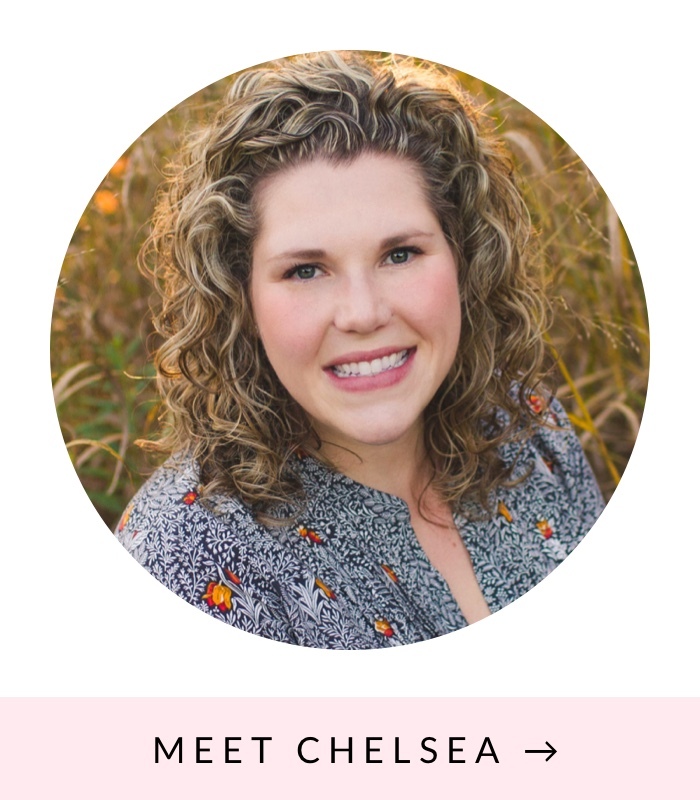 🙂 Thanks so much for linking up and sharing Chelsea! I made these little bits of yummy for everyone last Christmas. yes, i call them peanut butter balls too! i’ve never made them before because i would always just eat the ones my best friend’s mom made, but now that i’ve moved i am going to try your recipe! My youngest brother stands at the door on Christmas until I bring in his jar filled with Buckeyes! I have not added Rice Krispies before but I am going to try it! Hi, I am making this receipe & I noticed that at the top you mention 1 1/2 sticks of butter but in your printable receipe you have 1 1/2 cups which is 3 sticks of butter. Since I used the printable receipe & my batter is very soft I think it’s probably 1 1/2 sticks, but just checking. Thanks! Ah! 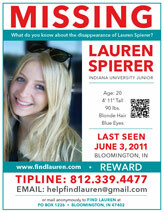 I’m so sorry Laura! Thanks for bringing that to my attention. I’ll fix the recipe card and upload it as soon as I get back from our Christmas travels. Hi! My boyfriend has been begging me to make him these, he’s a huge peanut butter fan. In all the other buckeyes receipes, they first put the balls in the fridge before dipping them in chocolate- is that necessary with this receipe? OMG! Just went through the comments and found out about the butter…no wonder I had soooooo much goo (filling)! they were still good although I have a ton left that I froze or I’d still be dipping peanut butter balls!! OMG. This is exactly the kind of recipe that would make me giggle with delight. Thanks for linking it up! Totally pinned. I could totally eat my weight in those! But that would NOT be good, would it??? Thanks so much for sharing it at our Heirloom Recipe party! Amazeballs…. Hi I’m am making these and wondering why the filling is so wet and sticky, it hold to roll. This Christmas Peanut Butter Balls look delicious and adorable. I love this. I really excited to eat this. I LOVE peanut butter balls!!!! We plan to make these this weekend when we get together with my mom and sister to celebrate Thanksgiving. And oh my, that snl skit is hilarious!! Hi Colleen! Yeah, I always use almond bark for the chocolate coating. Yum, these look so good !! I’m from Australia and we don’t have butter bars, can you tell me how many oz is in a butter bar! Hi Nicole! I’m a little confused by your question. Do you mean peanut butter? Sorry I mean the sticks of butter – how many oz are they? How many balls does this recipe make? Thanks! Depends on how big you make them. But you can get around 3-4 dozen out of this recipe. I’d be afraid the crisped rice would get soggy when thawed. My family have made these for years also, they originated from my best friends family. Our’s are almost identical except we don’t use the cereal and we use more powdered sugar. They are delicious and are better than Reeses peanut butter cups. They can be frozen. We traditionally make these, frosted Christmas cookies and strawberry jam and share them with friends and family. Hello , I made these today and they are delish…I had some trouble dipping them in the melted chocolate and getting them to look as nice as yours…could you put a picture of how you did that part? These are now a new addition to my Christmas baking list. Thanks for a great recipe!! Put them in the chocolate. Cover them with chocolate using a spoon. Stab with a toothpick and remove from the chocolate. If you have a hard time getting them out of the chocolate they’re either not dense enough or your chocolate isn’t thin enough. You can thin chocolate with a little bit of vegetable oil, but don’t go overboard or the chocolate won’t set up. Hope this helps! Hi!! I making these for Christmas and and am super excited for it!! I too was confused by the two different amounts of butter you said so I went back and read through the comments…and am still confused…exactly how much butter do we need? Go by the recipe card. I fixed it in the post text though. It’s 3/4 c. butter (1 1/2 sticks). I get confused easily so its not completely your fault lol…thanx!! i will let yo know how they turn out!! Thanks so much for the easy recipe, my teenage daughters are going to make these this afternoon! Can’t wait to try one! These look great! I think I would substitute the butter for coconut oil tho. We always called them “buckeyes”, but when my daughter was small, she always thought we said “bug eyes”. So now that she is grown,, She traditionally makes ‘bug eyes.? I make these every year also and I use PP peanutbutter. I also use Kellog’s rice krispies as I find they stay crispy better then store brand. Love them! My daughter has asked me to make these for her wedding reception. I want to make these in advance. Does anyone know if I can freeze them and take them out to thaw? Do they taste as good? I have no idea since I’ve never put them in the freezer. Maybe make a batch, freeze them for a week or two, thaw, and sample. Hi! My son has dairy allergy. I was wondering if I could use safe chocolate chips instead of a melting chocolate? Or does it specifically have to be a melting chocolate? Something like ghirardelli semi-sweet chocolate chips are safe, so it doesn’t have to be anything that is too out of the norm. Thanks! that will work fine. 🙂 I use chocolate chips as well. I find I need to add about 1 tablespoon of oil to the chips when I melt them so that it is smooth and coats nicely. A couple questions… About how many balls does 1 batch make? And if I wanted to double the recipe is that ok? About 5 dozen. I don’t see how doubling the recipe would alter it at all. My husband’s great grandma makes these every year, and we can’t wait for the package to arrive. I don’t think she uses Peter Pan PB so we’ll definitely give that a try. I tried your recipe and they are soooooo good! I shaped mine into mini bars because we’re doing a Walking Dead theme at our office. So, I made “Morgan’s Peanut Butter bars.” Any ways, these were a big hit with everyone! Hah! That’s awesome! Although after the mid-season finale Morgan is currently my least favorite person. Do I really have to save this recipe until Christmas !!!! LOl Love peanut balls and am pinning this to make often. Thanks for sharing. PS-They must be soo good if you can make a grown man giggle !!! How do you know a recipe is gold? Cause after so much time people still get excited to see it pop up. Found your recipe on Something To Talk About party. I was planning on making some treats for the up-coming holiday season to give as home-made gifts to my family. These would be so perfect. I super love chocolate and peanut butter combo. Thanks for sharing. I hope to try this for Christmas. Such a classic! I love peanut butter balls – always my first stop on a cookie exchange table 🙂 Something about that combination… yum! Right? I have to give most of them away or I’ll eat the entire batch. This is my 2nd time making these…. Is it okay to refrigerate the pb mix overnight? These look so delicious! I need to try to make these. Mmmmmmm…peanut butter and chocolate. My grandmother’s best friend and neighbor, both passed now, use to make these every Christmas. I remember sitting on my grandma’s step stool in her kitchen and eating the entire bin of them every year. I haven’t had them since being a child but not despite my best efforts to recreate! I’m hoping this recipe is the one as I remember her’s having riced cereal inside! Can’t wait for baking next weekend! What a great memory! I hope they’re similar! My grandma used to make these! So addicting. I found out later though that her recipe had paraffin in the chocolate coating so I definitely will be replacing it with yours. Does anyone know how many balls this recipe will make? Depends on how big or small you make them. You’ll get a few dozen. and what kind of chocolate do you use? Just made these. Didn’t refrigerate the pb before rolling in the chocolate. It was awful. Couldn’t pick them up with the toothpick. Not enough chocolate to cover them all. Is that because I didn’t refrigerate? Probably. It can also depend on the type of peanut butter you use. Some are oilier than others so you may need to add more crisped rice and powdered sugar to make them bind better. Hi! 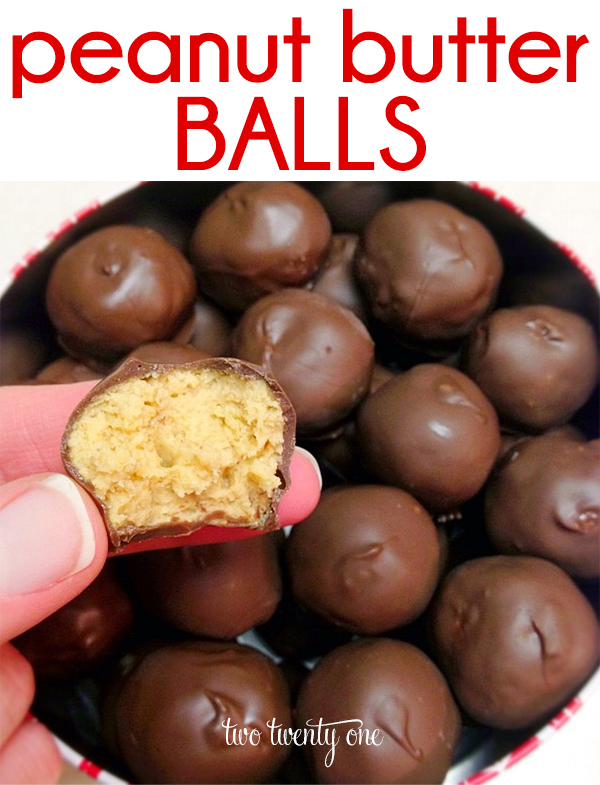 I was looking for a peanut butter ball recipe and found yours on Pinterest. The recipes I got from friends and family are just basic, peanut butter, butter and confectioners sugar. I’m just wondering, what does the crushed crisp rice cereal do? Is it mainly for texture? hi, I am a baking newbie and was just wondering if you use unsalted or saltened butter?? does it matter? thanks! Were they too dry or too gooey? Too dry, add more peanut butter. Too gooey, add more crisped rice and powdered sugar. The type of PB can also make a difference. These are way too sweet. The powdered sugar was way to overpowering. I used only 2 1/2 cups and it was still way to sweet. Also added a little more peanut butter the next time and it did seem to dull out some of the sugar taste. Any suggestions? Im afraid if i reduce the sugar anymore the consistency will be off?? Some of it depends on the type of peanut butter and chocolate you use. I find that almond bark makes them a lot less sweet than if you were to use melting chocolate or melting chocolate chips. You can also try to reduce the sugar and increase the crisped rice cereal. I love peanut butter balls and yours look delicious! I wish I had some right now so I guess I’ll need to make some for the family this week. Making them right now … and I might just end up eating the “dough” before I roll and dip. Very good. No shame in that. Happy rolling, dipping, and eating! I just made these, they are amazing! I added espresso powder to the chocolate (1tbsp) to amplify the chocolate taste…wow! Thanks for sharing. I will definitely try those! I am always craving sweet stuff but don’t have an oven at home to bake cookies or cakes. These peanut butter treats are a perfect alternative! Thanks for sharing the recipe! Can I swap graham cracker crumbs instead of crispy cereal? If so same amount, 3 cups?? Rachel, just follow the recipe. If you want to replace an ingredient, you can’t expect the author to do it for you. Use your head. Gram cracker crumbs are not as “airy” as crisp cereal. If you want to replace the crisp cereal with graham cracker crumbs, start with one cup and check consistancy. If still too sticky to roll, add more… If you get a recipe from a cookbook, are you asking that author about substitutes too? My mom used to make these for me when I was a kid! They’re so delicious I could eat a handful in one sitting! Love love love this recipe!! Hello! I’m wanting to make these for Christmas…they look delicious! I’m having trouble finding Peter Pan peanut butter where I live. Has anyone out there used other peanut butters with success? Thanks Chelsea! I tried three different grocery stores with no luck. I can’t wait to try them…I’ll let you know in the next coming weeks how it goes.? I make peanut butter balls every year for the Holiday. I know alot of people use tooth picks to remove them from the chocolate but I never have good luck by doing that. You did a beautiful job decorating the porch and I’m sure the family loved your talent. We wish you and your family a wonderful Christmas and a Happy New Year!! Hi I am from Australia and my recipe is very similar. I have to put in freezer due to heat here but these treats are a firm favourite at Christmas. Merry Christmas to you and your loved ones. This recipe was straight up aggravating. Followed it exactly and the filling was way too wet. Tried adding more icing sugar and rice crisps in random amounts to get it to hold together. Peanut butter balls would not stay on the tooth pick when dipping in the chocolate. Required way more chocolate as much was wasted on the wax paper. I would not use this recipe as is again. Dang, I’m sorry Jacquelyn. What brand of peanut butter did you use? Yeah, I’m thinking that was the issue. You’re going to want a higher quality peanut butter. Like I say in the post, I really prefer, and get the best results, from Peter Pan creamy peanut butter. Certain peanut butters have more oil than others, which can really affect the consistency. I made a batch the other day with Peter Pan and they came out perfectly. Hi, I haven’t made these yet but was wondering how to store and how long will they keep? I store in an airtight container at room temperature. They’re best eaten fresh, but will stay good for 3-5 days. After that time the crisped rice starts to soften, and they lose their crispiness. 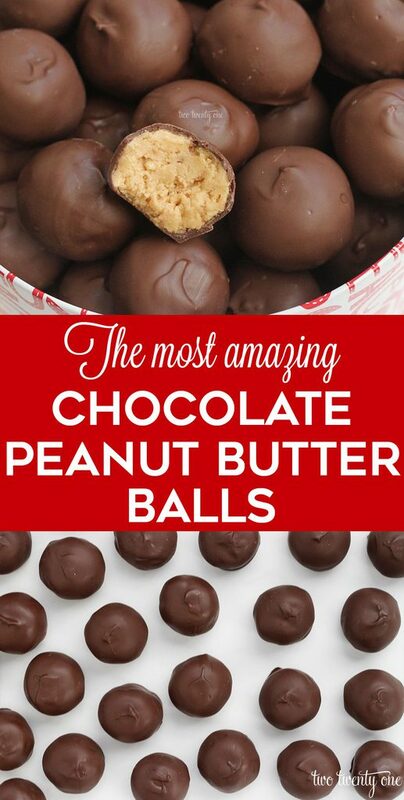 Waw your peanut butter balls are above than awesome.thanks for share this. Thanks for recipe. Made these when kids were younger, love them, lost the recipe. Also found candy making kit at Party City (around $10), made dipping the balls a breeze! Made these exactly as you directed and they are fantastic! they will kill a chocolate peanut butter craving instantly. Thank you for sharing this. these will be a huge hit at Christmas. I’ve never tried it with the Rice Krispies, but my family always makes them with crushed graham crackers. Makes them absolute perfection. People that don’t even like peanut butter think or peanut butter balls are amazing. Reminiscent of butterfingers and Reese’s. You should definitely give it a try. Same recipe, but swap Rice Krispies for crushed graham crackers. You won’t regret it.